In my very first blog post, Chasing the Dream, I wrote about James Patterson’s earnest ad in Publishers Weekly calling attention to the decline of books. “Who will save our books? Our bookstores? Our libraries?” he charged readers to harken. I was warmed by the thought that a bestselling author of Patterson’s stature was raising his voice to champion books and the brick-and-mortar locations in which readers access them. Despite the convenience and success of online retailers and e-books, there is something unmistakably exquisite about the experience of walking into a bookstore or library and walking out with a printed book that cannot be replicated. This experience is something that should not fade into the past, and that is what Patterson is fighting against. For the publishing industry to truly thrive, I think that the relationships between all parties involved must become reciprocal. Patterson is working towards that reciprocity and has made good on his promise to be a voice for books and bookstores. In 2014, he has pledged to give away $1 million in grants to independent bookstores in his $1 Million Indie Bookstore Campaign. Patterson has seen much success in the industry, and now he is giving back to the stores that were a part of making that success possible. In speaking about his generous grants, Patterson says, “It’s as easy as putting on half a page of paper what you need to do. It’s not like applying to Harvard. It’s not difficult, and there’s no catch. We want to be inundated.” Patterson’s words speak of an advocate for books and reading that we are in desperate need of. In the first round of grants, Patterson gave out more than $267,000 to 55 indie bookstores across the U.S. 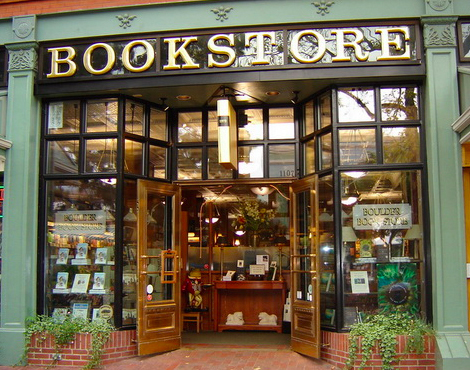 These bookstores were chosen based on their reputation for making a difference in their local communities and for the merit of their ideas that will positively impact their readers. This effort is motivated by Patterson’s desire to pave the path for the next generation of readers. These grants will aid indie bookstores to make improvements and implement programs that will ultimately promote the revitalization of bookstore traffic and avid readership that begins in childhood. BookPeople in Austin, Texas, my local independent bookstore, is one of the 55 indies that was selected and I couldn’t be more happy or proud. They will be using their grant to fund their book-based curriculum enhancement program in partnership with local authors and Austin Independent School District. As a loyal customer of Book People, and frequent attendant at their author talks, I am so pleased to know that Mr. Patterson selected them as a recipient. They truly are a beacon for literature in my local community and this grant will allow them to provide even more wonderful programs for children. I too am holding fast to my promise to be a voice for books that refuses to be quelled. Later this month, on April 23rd–in celebration of the birthday of the most eloquent, lasting, prolific, and valiant champion of the written word, the Great William Shakespeare–I will join thousands of other volunteers around the globe in World Book Night’s effort to spread the love of reading, person to person. When World Book Night’s Executive Director, Carl Lennertz, came to speak at an NYU seminar I was spellbound. He spoke so passionately of the program’s efforts to get books into the hands of light and non-readers across the world. I was moved to tears when I heard the story of elderly people who had never owned a book prior to the book that a World Book Night volunteer gave them. The thought of never holding a book in my hands, lovingly caressing the spine, thumbing though the pages, breathing in that glorious inky scent, and knowing that the author’s world that lay within was mine to be enveloped in nearly broke my heart. It was in that moment that I knew that I had to be a book giver, and it is with delighted anticipation that I await the day that I too will be able to give the incomparable gift of books and inspire a love of reading in others. Publishers, authors, bookstores–chains and indies alike–and even readers themselves must all work to support one another in order to achieve their shared goal of getting books into the hands of as many people as possible. The written word and its power to shape the minds and lives of readers is the thread of connectivity that binds each member of the publishing wheel. If each could keep that thought as the driving force behind all their actions, then they would be more likely to work in harmonious synchronicity towards a world where the status of books never wavers and readers’ love for them never falters.